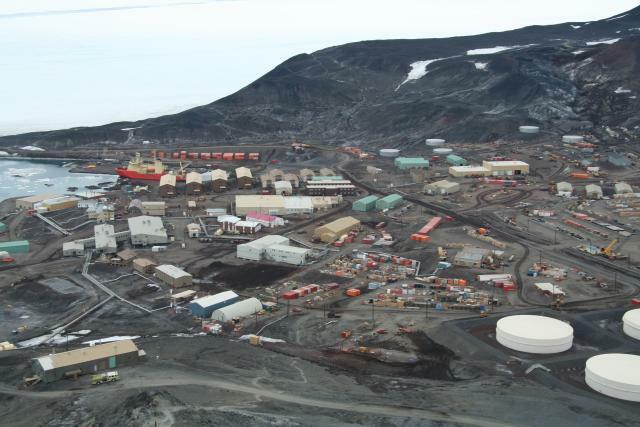 The research base McMurdo in the Ross Sea is the main US research station in Antarctica. During the southern summer season over 1000 people are working and living on the station, which also is the main logistic hub for much of the land based field work and for the supplies of the South Pole station. The US research icebreaker NB Palmer is docking at the pier of the station.